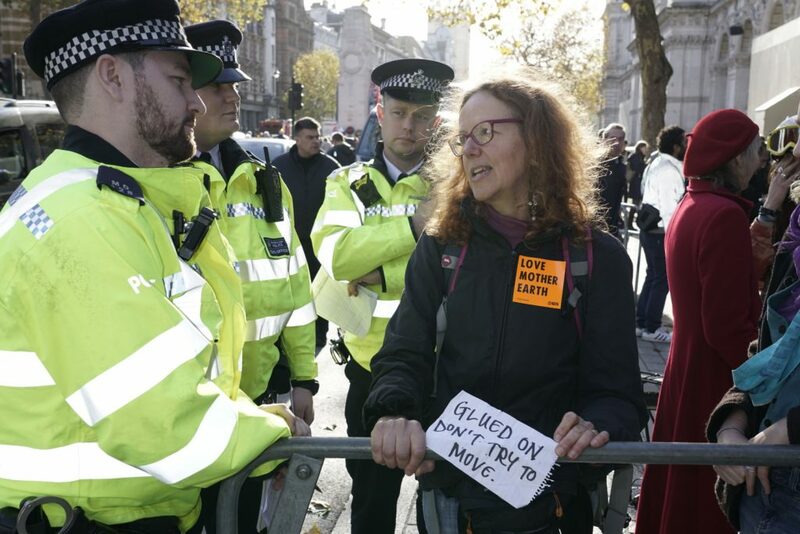 Environmental activists have coordinated non-violent protests including unfurling banners over Westminster Bridge and glueing themselves to the gates of Number 10 Downing Street ahead of ‘Rebellion Day’, a day of concerted civil disobedience on Saturday November 17th. Two 37 metre banners were dropped from Westminster Bridge and activists are also protesting at Downing Street where they have blocked vehicle access and glued themselves to the gates. 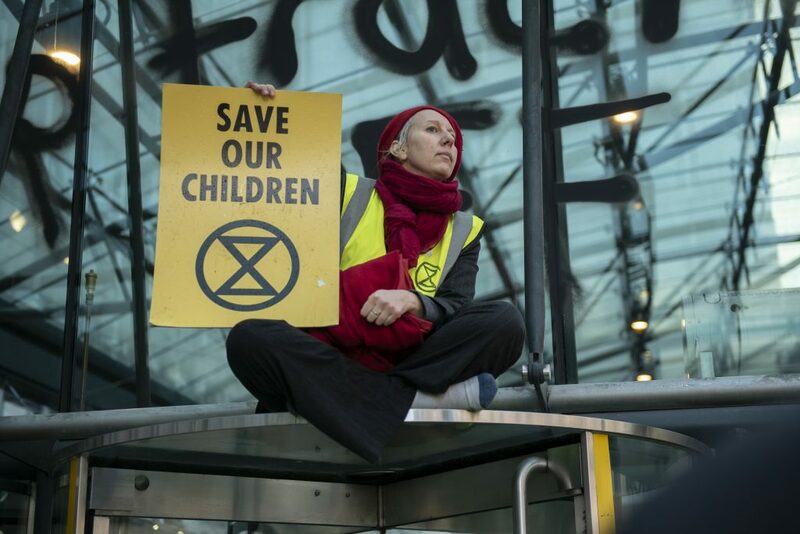 The actions are coordinated by Extinction Rebellion, a new movement calling for huge numbers of people to exercise their right to protest in a coordinated campaign of mass direct action and civil disobedience to force the government to address climate change. Extinction Rebellion is demanding the government declares a climate and ecological emergency, commits to reducing to zero greenhouse gas emissions by 2025 and establishes a citizens’ assembly to oversee the changes. 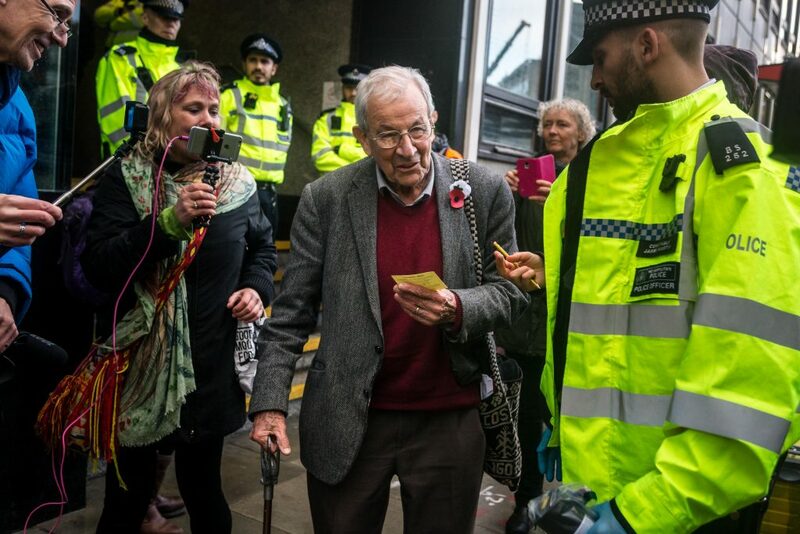 Extinction Rebellion launched its civil disobedience campaign on 1 November 2018 2018 with 1000 protestors including Caroline Lucas MP and George Monbiot closing Parliament Square to traffic. On 17 November 2018, ‘Rebellion Day’, protestors plan to roadblock five major bridges in the capital with the aim of bringing London to a standstill and forcing government to act decisively on climate change. We are bold. We will not hide. We are all in open rebellion. Organisers expect thousands to take part in the protest, with actions taking place around the country. 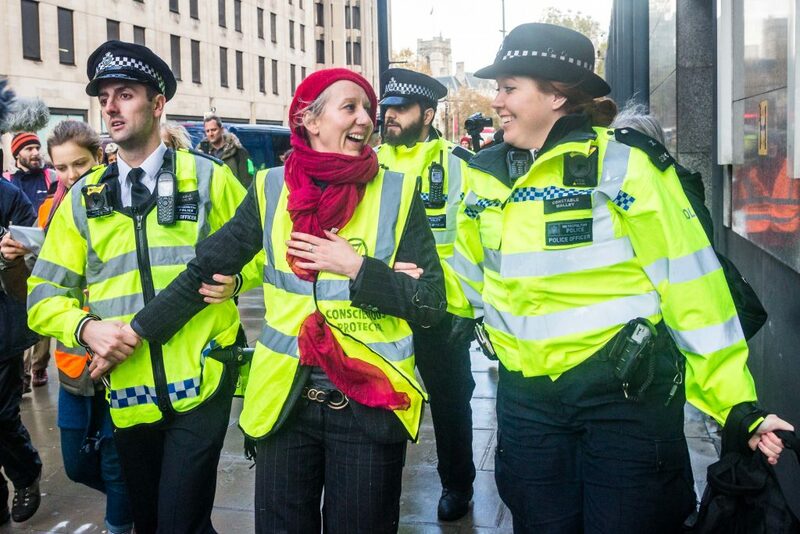 As part of the campaign of civil disobedience protestors are prepared to be arrested with Extinction Rebellion claiming it has over 500 people willing to be arrested for the cause. 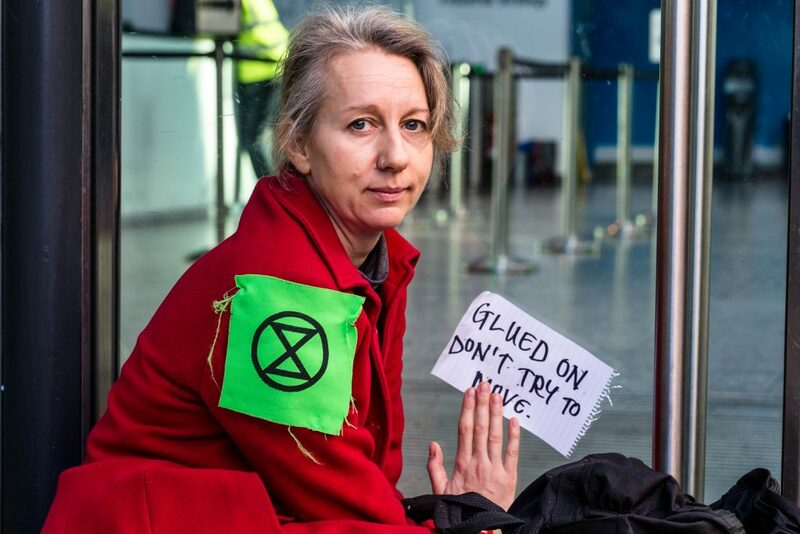 Earlier this week, Extinction Rebellion occupied the Department for Business, Energy and Industrial Surgery with activists and ‘conscientious protestors’ glueing themselves to areas inside the building. 85-year-old Reggie Norton was arrested for painting the extinction symbol on the wall of the building. He has never been arrested before and has been released under investigation. The protestors were challenging the Department’s support of fracking. Following the resumption of fracking at Preston New Road in Lancashire in October, the first time fracking has taken place in the UK since 2011, 37 earthquakes have been recorded in three weeks. In late September three men who took part in a non-violent direct action against fracking and blocked access to the Preston New Road site in July 2017 were jailed. Their custodial sentences were overturned last month. "This is an existential threat. Young people should be angry and should be demanding change from their leaders." Earlier this month social media influencer Jack Harries, behind travel-focused YouTube channel JacksGap which has over four million subscribers, delivered a ‘Declaration of Rebellion’ for Extinction Rebellion to Number 10 Downing Street.